SSDI (Social Security Disability Insurance) is a program meant for people who have worked and are no longer able to do so. 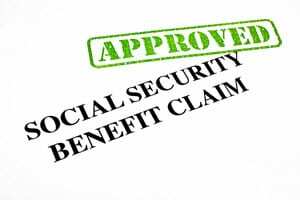 You are only eligible for SSDI benefits if you have worked and paid into the Social Security system for the appropriate number of quarters. If you have a solid work history and are now no longer able to work, our New Jersey SSDI lawyers will work with you to get the benefits you deserve based on your years of effort. Contact us today for assistance filing your claim or appealing a denial. The requirements for Social Security Disability Insurance are the same in New Jersey as they are throughout the United States. When you speak to our New Jersey SSDI attorney, he will first need to determine if you are eligible based on your work history. To qualify, you generally need to have worked between 5 and 10 years. The system is actually based on credits. Normally, the amount of credits is between 20 and 40. How many credits or years you require varies based upon your age. You can find details on the Social Security Administration’s website with more details on credits and qualifications for disability. There are exceptions for people who are blind. The Social Security Administration has very strict requirements related to what is and what is not disabled. Disability is based upon your lack of ability to participate in “substantial gainful activity.” In plain language, this means, if you can work, you won’t be eligible for SSDI. The issue is not whether you can continue performing your current job, but whether you are able to work at all, as defined by the SSA. Your disability must have lasted or be expected to last for at least one year. 36% of people receiving SSDI suffer from a musculoskeletal or connective tissue condition. This includes disorders such as back injuries, severe arthritis, severe inflammatory diseases (Rheumatoid arthritis, Lupus). These types of conditions are most likely to lead to a successful claim. Especially in an older person. Age is a huge factor in Social Security Disability claims. Younger people must suffer from a serious issue to be found disabled. Nervous system problems are less common, representing 8.2%, but when they are severe, they are more likely to lead to a successful claim. This would include epilepsy, cognitive problems from brain injuries and so on. Serious or terminal cancer, called Neoplasms, lead to about 10% of successful claims. 10.8% of successful claimants have circulatory difficulties. This would represent severe cardiovascular problems, such as a disabling heart attack, or diabetes with severe neuropathy or that required amputations. Coronary artery disease or heart failure in and of themselves are not enough to be disabling. Instead you must be able to show that the underlying problems of fatigue and pain and other issues make it impossible for you to work. Age is a huge factor. The majority of people who are successful in their efforts to obtain benefits are between the ages of 50 and 64. Two thirds of new awardees are 50 or older. One in five are 60 or older. The younger you are, the more difficult it is to obtain SSDI. A solid medical history with proof of treatment is critical. You must have medical evidence that you are disabled from a medical doctor. You must have a solid work history that meets or exceeds the requirements. If you do not have the required work history, you will not be eligible for SSDI. Instead, you will have to seek SSI. The majority of people who seek Social Security Disability benefits are denied. When you call us, at the initial claim stage, we will talk with you about your disability and how it is impacting your life. To begin, we ask you a serious of questions about your health as well as your educational and work backgrounds. If we believe you might be eligible, we will obtain all of your medical records. Then we draft a SSDI claim which will show the SSA why you are unable to work and therefore should be considered disabled. Given that the majority of claims are denied, drafting a proper claim in the first place is critical and it is best to have a lawyer from day one. If you already had your claim denied, we will work with you on your appeal. We will review your medical records, identify the problems in your case, and go to your hearing to prove to the Judge why you are eligible for SSDI. Regardless of whether you are applying for the first time or need assistance fighting a denial, contact our New Jersey SSDI attorneys. We are here to help you fight for the benefits to which you are entitled. There is no fee unless we are able to get you your benefits.